It seems it will pick up saved routes as well. And just to clarify when you have a choice and neither is greyed out, that means the choice does not matter correct? I believe that is how it was for other games but was not sure. 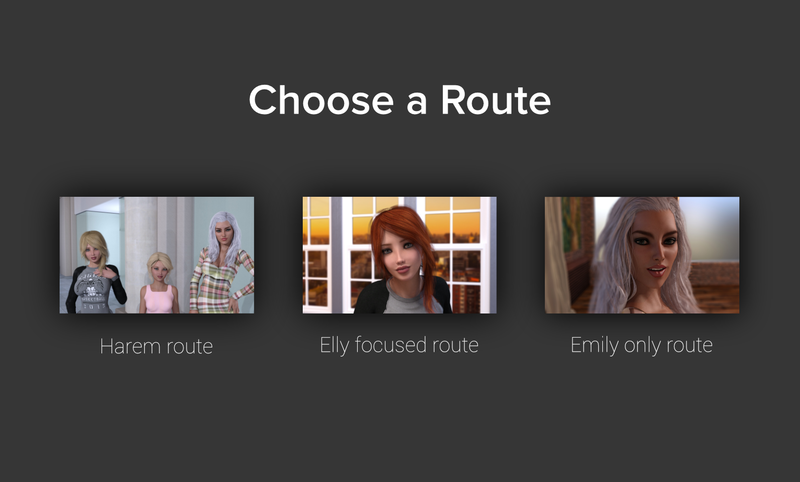 You have to start a new game and choose a route from this screen for it to show the correct choices. 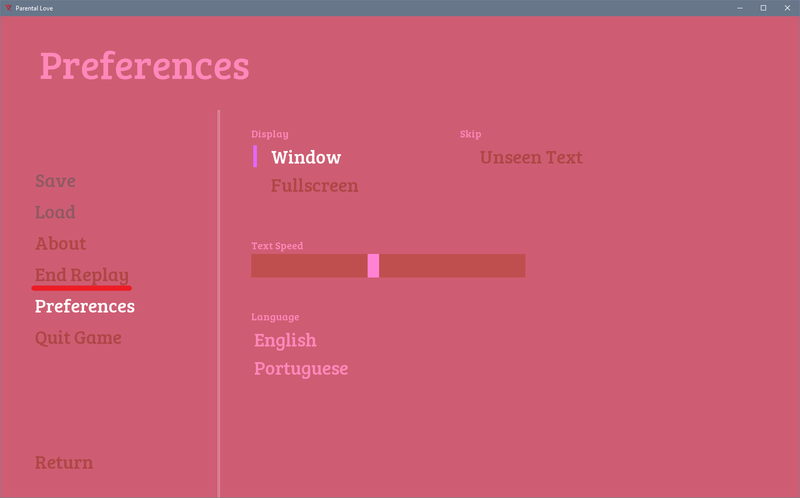 And yes, if you have a choice and none of the options are greyed out then you can choose any. Which animation shows a grey screen? And you need the scene gallery mod to open the scene gallery. The original gallery in the game does not work and crashes. Are you sure you have the Walkthrough & Scene gallery mod and not just the Walkthrough mod? BJ Emily - I didn't see the others because I thought will be no different than this. If You knew the gallery crashes on walkthrough mod than you should mentioned this on the description. From what I understand reading Lains post the gallery works using Lains Walkthrough & Scene Gallery mod, its the original gallery in the game that doesn't work which is why the gallery crashes with just the walkthrough mod. In original game without mod everything works fine (gallery and animations) only with walkthrough mod gallery crashes and Im not gonna argue with you two, dont get me wrong i really like this mod. I wouldn't know I haven't yet played the latest update with or without this mod, so you know better than I. If you say the walkthrough mod breaks the gallery then ok, I was just going off Lains post. I tried the game without the mod and the scene gallery worked fine, I tried with just the walkthrough mod and it crashed, then I tried with the walkthrough and gallery mod which worked fine. 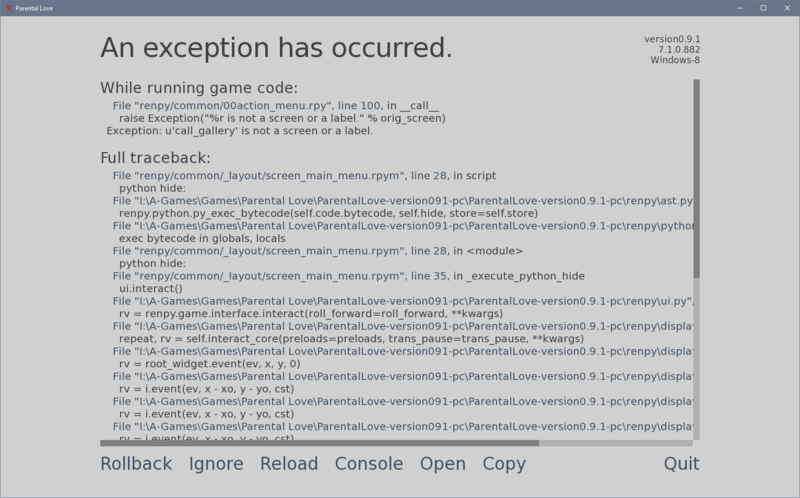 Using the scene gallery without any mods will still cause the game to crash. Try playing any of the scenes. Have you noticed any animations not showing with the mod though? Because that still doesn't happen for me. In original game only one scene in gallery crash (elly in the kitchen) and I've seen every animations with mod (only BJ Emily show gray screen). I've seen every animations with mod (only BJ Emily show gray screen). That's the car bj scene right, that scene plays fine for me with the gallery mod I haven't tried without it though. Emily (mother) BJ on the couch after fight in the park. ah ok that's odd just one animation not working for you, I just loaded that scene from the gallery an it's playing fine for me. does this also work with the "Patch" extra scenes and all? The mod has the patch included.